It's not usually the plan to do multiple projects in one month. Yes, we did it last month because it was a 5 blog-day month. I'm doing it again this month because I'm freakin' freezin'! Ok... so I'm not actually freezing. And... not really that cold. 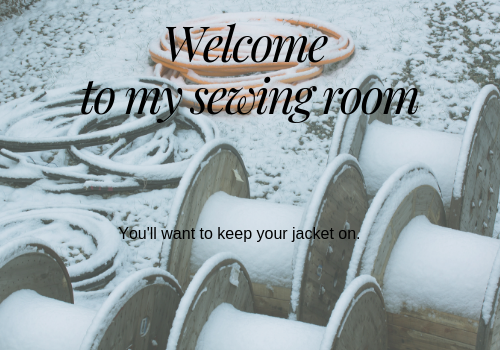 My sewing room, where I spend most of my day, is 62 degrees. ANYway... The point is. I'm cold, and I don't like it. Autumn is that awkward time of year when it's warm enough upstairs to keep the furnace from turning on, which leaves the basement, where I am, from getting heated. Some say you can tell a person lives in Utah because they wear a parka and shorts. They are talking about days like these. So I'm taking the matter --- to the sewing machine! That sounded a lot awesomer in my head. Like: To the Bat Cave! only there are no bats, and no caves. Although I've been in caves warmer than my sewing room. 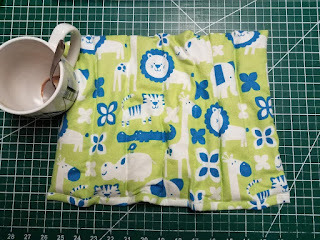 Today I'm making a big microwavable warmer for my feet that will also be big enough to pre-heat my bed. Since I'm making it anyway, I thought I'd share the experience with you. Just in case you are also freakin' freezin'! Or if you are just looking for a last minute gift idea. These microwavable rice bags are nothing new. I'm pretty sure I have several hiding somewhere in my house. Probably under my bed... but I know about the monsters that live under beds, so I'm not going to risk waking them by poking around under there. If you have stray wash cloths around they are the perfect size for making these. sew around the edges, leaving a hole for filling. 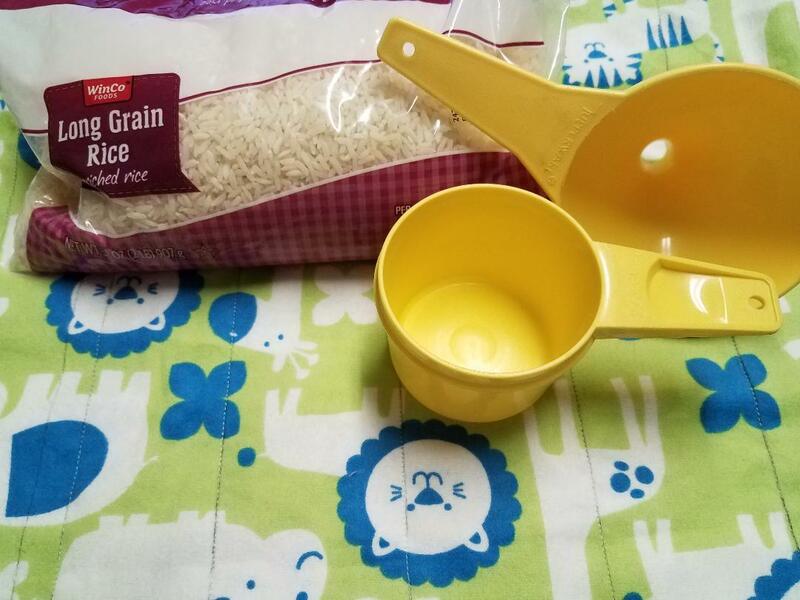 Use a funnel to fill them with a couple cups of rice. You have a microwavable heat source. They are just the right size for a tense neck or shoulders, cold feet, or cramps. They are even washable... so long as you dump out the rice first. I'm making this one larger than the wash cloth ones, and with cells to keep the rice from free-flowing inside. The goal is to warm up my bed in a larger spot than half a washcloth. IMPORTANT NOTE: NOT INTENDED FOR INFANTS OR YOUNG CHILDREN! HOT RICE CAN CAUSE BURNS. USING ANY KIND OF WARMER FOR BABIES OR CHILDREN SHOULD BE CLOSELY MONITORED BY A HEALTH PROFESSIONAL. Cotton Fabric: flannel, terry or quilters cotton. Mine is 34"x 12" folded in half. Cut the fabric to your desired finished size plus 2 inches. Keep in mind the finished project has to fit loosely inside your microwave. And, it will lose more width than height. With fabric WRONG sides together, sew around 3 sides with a 1/4" seam allowance. (2 sides if your fabric has a folded side.) Leave one side completely open. Pink around the seams. Because it makes me happy when I can use my Pinking Shears. Turn the bag RIGHT sides together and push out all the seams so they lay flat. Again, sew around the 3 sides with a 1/4" seam allowance to encase the pinked edges. 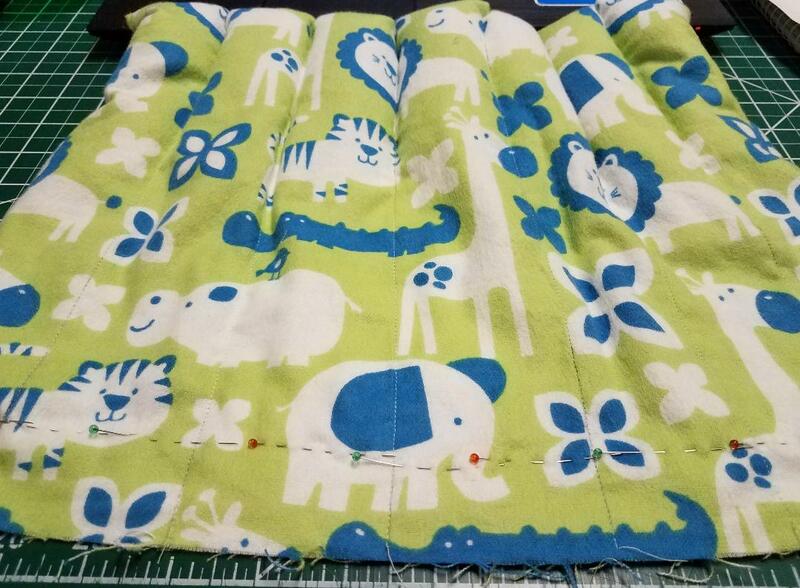 Tip: If you didn't pink the edges, make sure your seam allowance is large enough to encase the edges. Flip the bag RIGHT sides OUT and push out the seams so they lay flat. Using a ruler, mark out straight lines perpendicular to the UNSEWN side at 2" - 2 1/2" spacing. Tip: As an after thought, I'd suggest you mark the cells starting from both edges moving toward the middle. I had to adjust the size of my last couple of cells. I think heat would distribute better if the odd sized cells were in the center. Sew along the drawn lines, starting from the sewn side. Backstitch at the beginning of the seam. I used a Frixion pen to mark my lines. 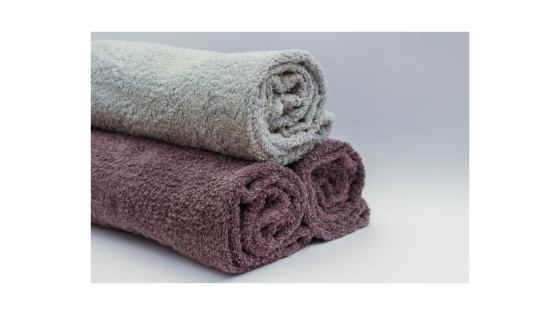 You can iron these away after they are sewn but they'll probably disappear in the microwave oven. Use the funnel to add rice to the cells. A second pair of hands here would have been awesome! You want enough rice to absorb and hold heat, but not so much that it prevents the rice moving freely within it's cell. My 2 1/2" wide cells took about 2/3 cup of rice. As each cell is filled, weave a straight pin or two 2" from the edge to keep the rice from leaking out while also giving you room to sew. 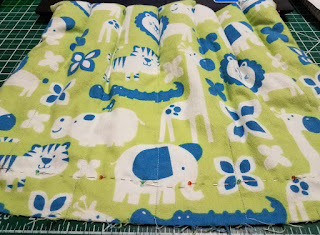 When all the cells are filled and pinned, sew the open side closed with a 1/2" allowance. Backstitch at both ends. Pink the edge if it makes you happy. Fold the edge over twice about 3/8" and topstitch to encase the raw edge. Backstitch at both ends. Here it is soft and snuggleious, ready for the microwave. And from the looks of the cocoa mug, not a moment too soon! To heat: rumple it all up to distribute the rice as much as possible. Put it on a microwave safe plate or bowl. Microwave on high for 30 - 45 seconds. Shake the rice around for even heat. If you want it warmer, give it another 30 seconds. I always feel like if you heat it too much at a time it becomes humid, defeating the purpose. The Hub disagrees. Try less heat first, see how it goes. I once heard in a movie: Red man make small fire. Stay warm. White man make big fire. Freeze to death. I don't know if that's true but it made sense to me. If you make these I'd love to hear your experience. Share pics on our Facebook page! Leave a comment to share what you learn using more heat or less. What works for you? If you haven't hit the FOLLOW button, now's a good time to do it. Here's hoping you stay warm in the chilly Autumn weather.